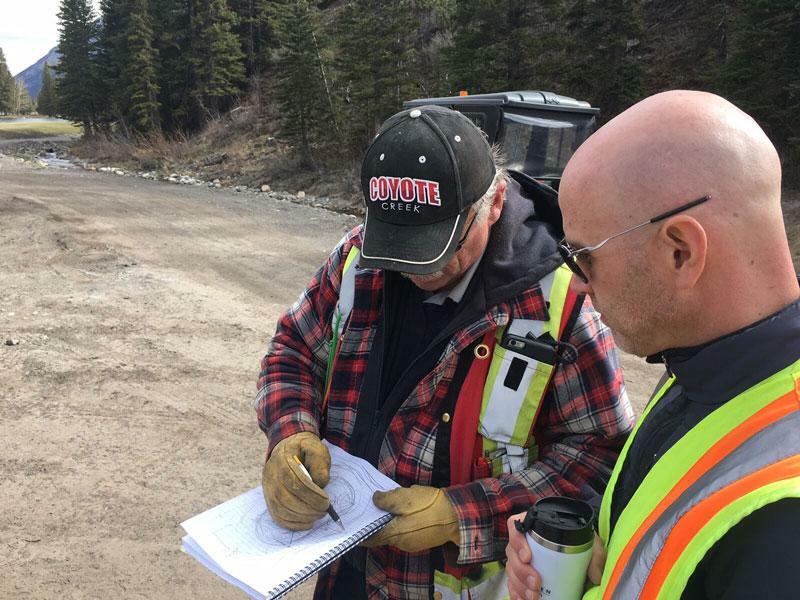 Kananaskis Country Golf Course General Manager, Darren Robinson, and Golf Architect Gary Browning plan the final phase of the restoration. 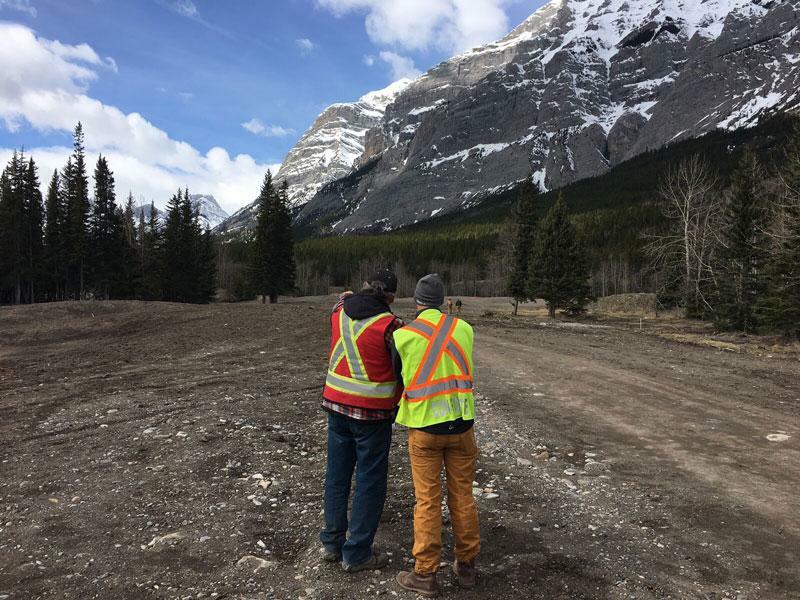 Gary Browning and Darren Robinson on the course, ready to restart the final season of restoration at Kananaskis Country Golf Course. 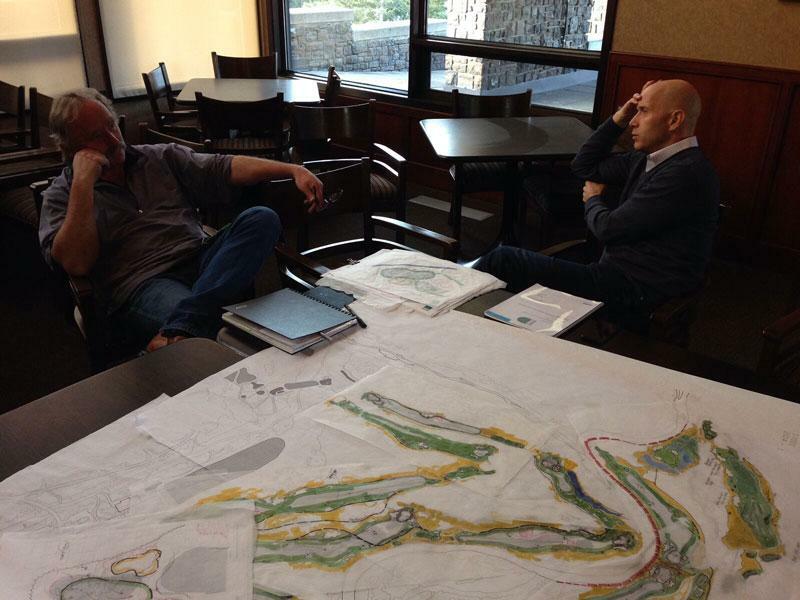 Bringing drawings of the new course to life. Construction crews work diligently to complete the restoration of the many Greens of Kananaskis.